There are lots of free printable math worksheets and my aim is to save time by pointing you in the direction of the best. I've found some great free homeschool worksheets to share! I've picked up a number of homeschooling recommendations to help you pick the most useful free homeschool worksheets for your family. If you have any particular free homeschool worksheets and printables you can recommend, help us all by telling us the ones you like. All kids are different, so what yours like will be very individual. My children William and Catherine have entirely different math tastes, and I think that's fairly common! You'll see our free homeschool worksheets page has lots of recommendations for worksheets and printables, including math, but I'll highlight here the ones you'll find best for math. Sheila from my Courageous Homeschooling Facebook group has kindly shared her free math worksheet. She has based it around her daughter's interest in Harry Potter and I am certain that linking math to whatever your child is interested in is the best way to learn. "Thanks to you both! This is a great inspiration!" The Math Worksheet Site is an on-line math worksheet generator where you can create an endless supply of printable math worksheets. You can customize each worksheet for your child's specific needs, so you can add practice to a curriculum you already have, or leave workbooks and textbooks behind and take charge yourself. The free worksheets are in PDF format or as printable web pages. Math Drills. This site covers all ages and grades from elementary through high school. You'll find over 10,000 free printable math worksheets with answer keys covering everything from homeschool additon to base ten blocks, fractions and data mangement. You can also try reindeer patterns and other math problems designed specifically for holiday time, ideal for adding to our christmas math activities for homeschooling activities at festive times of the year. For kids up to High School age, Stairway to Math is a site set up by the Society for Quality Education aiming to re-enforce math skills by getting parents to help kids struggling with math. They have lots of free printable homeschool worksheets covering place value, multiplication and division, percentages and fractions. 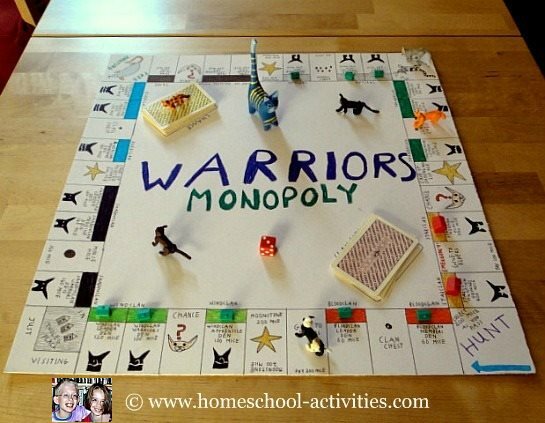 In our homeschool, we've found fun number activities a great way to bring math to life, and maybe you could combine some our homeschooling activities like making your own board game with the printable worksheets here. Senteacher.org offers lots of free printable worksheets for math designed for primary and elementary level students with special needs or learning disabilities, making them clear and useful for all. This is a great site for homeschooling dedicated to providing printable worksheets and resources cost free. 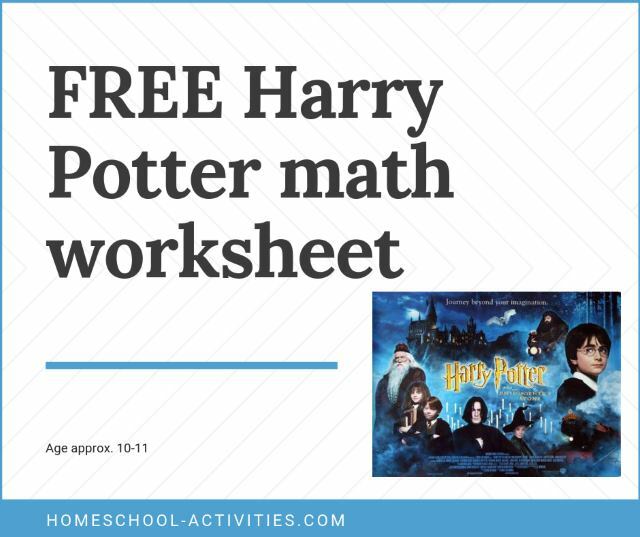 I particularly like the way you can make your own customized homeschool free printable math worksheets. For example, you can generate your own number cards for homeschool with decimals and negatives. You'll find you can generate free printable counting worksheets with a selection of age-appropriate tokens, build multiplication grids and homeschool number lines. There's even a few shape recognition free printable worksheets which might help with basic homeschooling geometry. My friend Bianka has found free learner and teacher math books for Grades 4-6 which she thinks are a much better way of learning Math. Well worth checking out - and totally free. 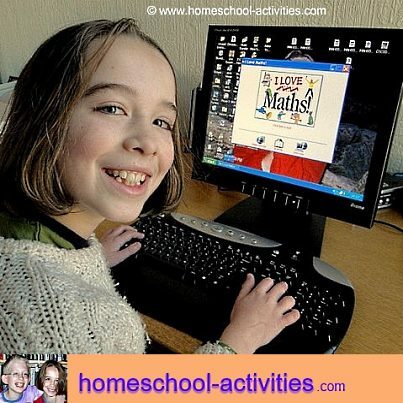 Our homeschooling guide to free online math covers the best websites and free games. MathSphere is great for printable paper freebies for homeschooling. They've got all sorts of free homeschool printables, whether you want printable graph paper or to count in tens to 1000. You'll also find different width lined paper freebies to help with handwriting. Finally, www.RicksMath.com has lots of free printable math worksheets on here right the way from pre-kindergarten to the end of high school. The difference with this site is that he tries to explain the reasoning behind the answers to the worksheets and gives sample answers, which will be helpful to some homeschool families. I hope this guide helps you navigate your way round the best free printable math worksheets. But every child is different, and if you have any suggestions for your own favorite free homeschool worksheets please tell us!